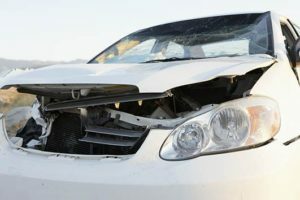 An auto accident whether minor or fatal can cause you sleepless nights and deep thoughts especially considering the hassle of getting the compensation you deserve either from the insurance provider or from the other party involved in the car accident. If you have been or currently in this phase in Chula Vista, you should turn to a professional auto accident attorney in Chula Vista. Don’t be pushed over, let an experienced car accident lawyer in Chula Vista assist you to get your full compensation. Contact us at Rawa Law Group if you need the best legal representation and we would work tirelessly to ensure you are given the full compensation you deserve. We have been helping thousands of claimants in Chula Vista for over a decade to get full compensation. Our auto accident attorneys are skilled and have a combined work experience of over 20 years which is always put in play in the courtroom to achieve tremendous success and the maximum legal benefits applicable. You have nothing to worry about as we absolutely do not get paid unless we win your case, we also don’t collect any upfront costs. All our cases are given maximum priority, with personalized representation and individual attention. If you have been involved in an accident and still in the recovery phase, we come down to meet you, either at home or the hospital. If you need a top-rated auto accident attorney in Chula Vista, CA be sure to reach out to us today to schedule your initial consultation.